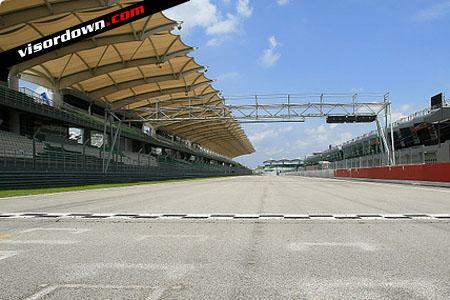 THE FIM has told Sepang International Circuit the track's bumpy surface isn't up to standard for the scheduled MotoGP round in October. The FIM, which governs the running of MotoGP, inspected the track today and was far from happy with what they'd seen. Sources say the FIM have scheduled two more inspections over the coming months to ensure the work has been carried out to a satisfactory standard. A spokesman for the circuit said the track's caretakers had already decided on the repairs, even before the FIM were involved, and that the track would be closed early to mid-August for resurfacing work.